In the early 1870s, several men from the Campello section of Brockton were attending Paul Revere Lodge. As this was a time with neither street cars nor automobiles, walking home became the custom late at night after Lodge meetings. Many times the topic of discussion during those walks was the possibility of a Lodge in Campello. With the approval of the Paul Revere Lodge, that process began in February, 1877. Many names for the new Lodge were considered, the first of which being “Baalis Sanford Lodge.” Baalis Sanford was a member of Paul Revere Lodge and went on to serve as the Most Worshipful Grand Master of Masons in Massachusetts. Although it has been reported that the name was not chosen due to a rule from Grand Lodge preventing the naming of a Lodge after a brother during his lifetime, which is a rule today, this was not the rule at the time and I have been informed that although Baalis Sanford had already had a remarkable Masonic career and his future in Masonry looked promising, he had not reached the status worthy of this honor as of yet and the name Baalis Sanford was discarded and the name of Saint George Lodge was chosen in its place. Forty years later, another new Lodge was formed in Brockton and had the privilege of honoring the Most Worshipful Sanford in becoming Baalis Sanford Lodge. The Brethren decided on the name “Saint George Lodge” and a letter of dispensation was received from the Grand Master on Valentine’s Day, 1877, authorizing 25 Brothers to work as a Lodge. The first Master of Saint George Lodge was Worshipful Harvey N.P. Hubbard who founded a long line of distinguished Masters, public officials and members of the fraternity. Saint George is a lodge of notable Masons and public figures such as Grand Master of Masons in Massachusetts Roger Keith, Grand Junior Warden James Carlton Holmes, Grand High Priest of the Royal Arch Chapter Ralph Copeland, U. S. Congressman Hastings Keith and five Mayors of Brockton including it’s first Mayor Cibna Keith, followed by Charles Williamson, John S. Burbank, Roger Keith and Fred D. Rowe. The By-Laws were adopted on February 13, 1878, with the initiatory fee set at $35.00, and dues were $2.00 per year. 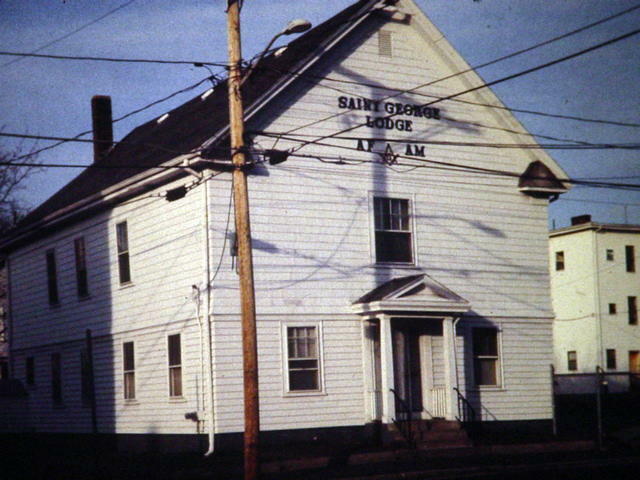 The Most Worshipful Grand Lodge of Massachusetts officially chartered Saint George Lodge on March 13th 1878. The Most Worshipful Charles A. Walsh, Grand Master of Masons in Massachusetts presented the Charter to Worshipful Hubbard. This same Charter has been passed from Worshipful Master to Worshipful Master ever since. To supply the hungry demands of industry during the early 1900’s immigrants came from many countries to work and hopefully attain the American dream. A number of Swedish immigrants settled in the Campello area of Saint George lodge and most of them attended South Congregational Church. Many times a man would work with others in a factory, attend lodge that evening and attend South Congregational Church in Campello on Sunday with those same men. In 1980, South Congregational Church consolidated with three other churches in Brockton and became Christ Congregational Church. The original church building has been replaced by a retail store; however, the bell of the church rests at the site of the old church on the corner of South St. and Main St.
Regrettably, the once thriving shoe industry no longer exists in Brockton, having been displaced by foreign competition. 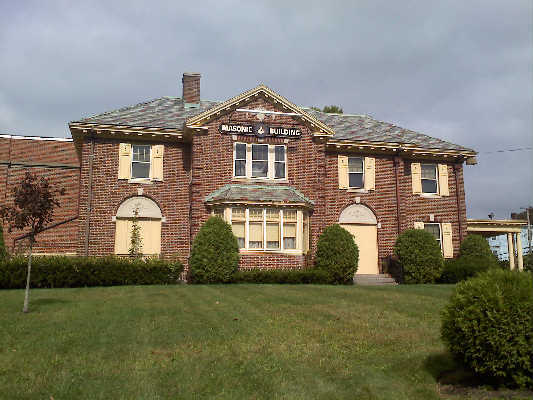 The Brockton Masonic Building also hosts Brockton Chapter 87 Order of the Eastern Star, the Satucket Pilgrim Chapter, the Baystate Commandery, the Brockton Abington Council and the Paul Dunbar Lodge of the Most Worshipful Prince Hall Grand Lodge F.&A.M.of Massachusetts.